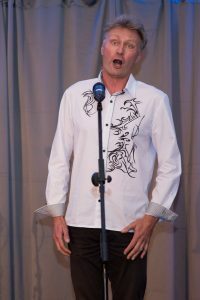 The tenor Damien Top came over from Cassel in France to attend the unveiling of the William Orpen sculpture in Stillorgan on the 15th Sept. 2018. 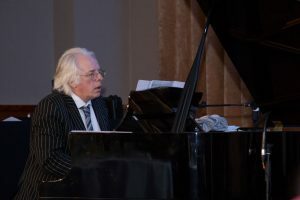 He also sang at the WW1 concert and is accompanied by Frank McNamara on piano. 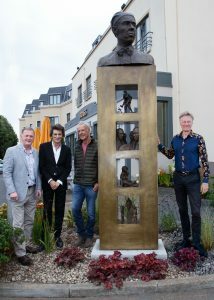 Dominic Lee, Ronnie Wood, Rowan Gillespie and Damien Top at the William Orpen Sculpture in Stillorgan. 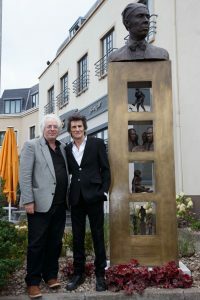 Frank McNamara with Ronnie Wood. Video by Motion Picture Media.